A monument of South-American music, author, singer, guitarist and composer Atahualpa Yupanqui (1908-1992) was born Hector Roberto Chavero in Pergamino, a province of Buenos Aires. He took a stage name that paid tribute to two Incan rulers and became a revolutionary who studied indigenous cultures. His ethnographic work became internationally known; he performed with Edith Piaf and his compositions were later recorded by the likes of Mercedes Sosa. 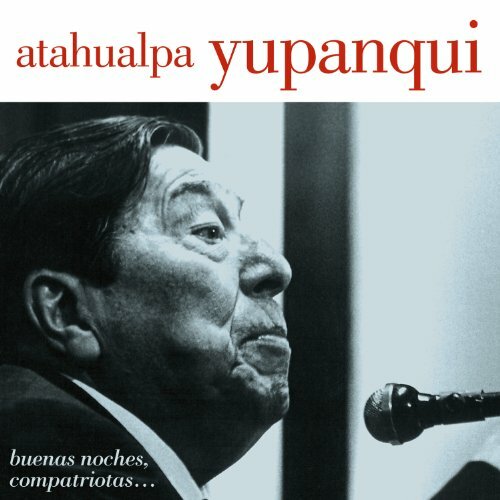 Yupanqui is considered the most important Argentine folk musician of the 20th century, and this 1982 album, Buenas Noches, Compatriotas, reissued here on Fremeaux, is now considered a historical recording. If you have any questions about this product by FREMEAUX & ASSOC. FR, contact us by completing and submitting the form below. If you are looking for a specif part number, please include it with your message.